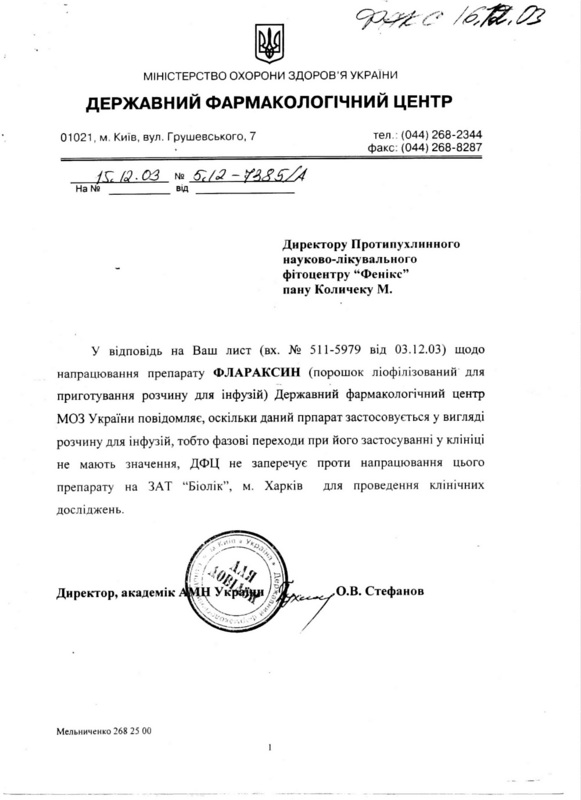 License АГ№601212 from 24.03.2011 given by Ukrainian Ministry of Health. Cancer Curing Center PHOENIX LLC - providing diagnostics and rehabilitation of cancer patients, and treatment of viral and infectious diseases using herbal remedies with non-toxic action. Rehabilitation patients can achieve partial or complete tumor regression, destruction or prevention of metastasis, restoration of immune system protection and prevention of recurrence. Gradually there is going a restoration of the function of organs and systems, a significant improvement of overall health and increase in working functionality. The combined use of treatment methods of CCC PHOENIX LLC with chemotherapy and radiotherapy significantly reduces their negative effects and greatly increases the effectiveness of the treatment. The diagnostics, care and rehabilitation of cancer patients as well as patients with viral and infectious diseases. Development of herbal medicines (remedies) with antitumor, antiviral, antibacterial, antimycotic properties that contribute to the restoration of immune protection that do not have any side effects. ○ Consultation of the patients about non-toxic treatment of tumors. ○ Assistance to cancer patients undergoing conventional treatment (surgery, chemotherapy, radiation therapy (RT), Gamma Knife (GBV) , laser therapy (LZT), etc.) , but with negative results, or patients that refused the traditional treatment, as well as patients that want to follow self-treatment, or patients with severe allergic reaction to the traditional medicines. ○ Optimization of the existing methods of treatment for cancer patients combining the application of FLARAXIN and HERBAL MEDICINES in mono-therapy and in various combinations with surgery, chemotherapy and radiotherapy. ○ Provide scientific and technical assistance to a wide range of health professionals on the practical application of biologically active herbal remedies in the treatment of viral and infectious parasitic diseases and cancer pathology. Medical practices covered by Ukrainian Ministry of Health Defense License: Therapy, oncology, physiotherapy, traditional and alternative medicine, general practice - family medicine. We perform a comprehensive diagnostics and treatment of cancer, tumors at any stage, virological diseases and able to restore the immunity using FLARAXIN and a number of herbal medicines. The application of our medicines is compatible with chemotherapy and radiotherapy. Treatment may be done out-patient. Production of herbal concentrates from a variety of aqueous extracts of medicinal and edible herbs - is carried out by condensation inside of the vacuum chamber at low-pressure discharge due to the temperature gradient between the surface of extract and the evaporation chamber wall on which the condensation of moisture take place. The temperature of extract heating not exceeded 50 °C. The temperature of chamber walls is much lower. Artificially created temperature gradient inside of the chamber is stimulating the water evaporation from the surface of aqueous extract to the chamber wall by condensation of moisture. This moisture is gradually accumulates and begins to form a cascade-like drains that are getting to the bottom of the camera itself and flows in a moisture trap. The residual moisture content of the extract weight does not exceed 12-15%, i.e., the chamber allows removing up to 85-88% of moisture concentration of any extract. Due to the written above, in the bulk of extract retains all of biologically active substances without any damage. A mass of extract itself becomes a biochemical clusters are much more active than the original aqueous herbal extract. Cancer Curing Center PHOENIX LLC founded in 1996 to coordinate research work on a comprehensive study of a new anticancer medicine of plant origin FLARAXIN, which was developed in INSTITUTE OF PHARMACOLOGY AND TOXICOLOGY of NATIONAL ACADEMY of SCIENCE of UKRAINE (NASU) by the surgical oncologist IVAN KULIK. 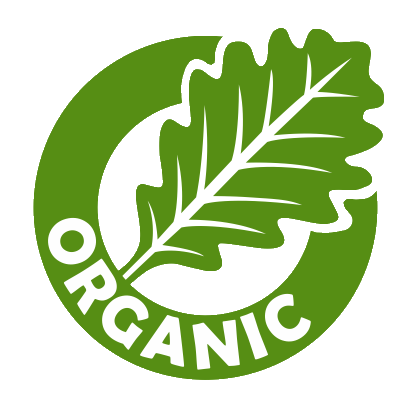 CCC Phoenix LLC developed and clinically tested a number of biologically active preparations of plant origin. For the first time, has been used a unique technology of plant concentrates, allowing several times to increase the biological activity of herbal extracts. As a result of comprehensive research has developed a number of medical treatments for cancer patients by the FLARAXIN together with a number of biologically active preparations. The practice of their application showed the effectiveness of their impact on a number of infectious, virus, somatic and cancer diseases. For early detection of cancer, as well as possible recurrence or metastases are used Cytological Morphological Bio-Physical Diagnostics. This method of professor Valeriy G. SHAHBAZOV predicts the impact of different medicines in relation to identified pathology in the body of patient. Now medications of CCC Phoenix LLC are used, as in oncology clinics, and medical centers of Ukraine and Russia. INSTITUTE OF PHARMACOLOGY AND TOXICOLOGY of NASU on June 9th 1990, it was reported in the Pharmacological Committee of the Ministry of Health of Ukraine that is a group of researchers of the Institute have developed a NEW ANTICANCER AGENT FLARAXIN. INSTITUTE OF PHARMACOLOGY AND TOXICOLOGY of NASU. Foundation of the Institute is fundamental research aimed at studying the pathogenetic mechanisms of formation of pathological conditions, general and specific features of physiologically active substances at different levels of organization of living matter - molecular, cellular, tissue, as well as in organs and body in general. One of the directions of the Institute - participation in the development and examination of state scientific and technical programs to create medicines, regulations and laws relating to the development and production of drugs. The Institute, a regulatory framework for regulation procedures pre-clinical study, examination and registration of medicines in Ukraine, methodological papers on pre-clinical study of medication. Director of the institute is Sc.D., Professor Tatiana A. BUHTIAROVA. Head of Department of Biochemical Pharmacology, corresponding member of NASU, Honored Worker of Science and Technology, Sc.D., professor - Y.I. GUBSKIY. Institute address: Ukraine, 03057, Kiev, Ezhena Potier st., 14. 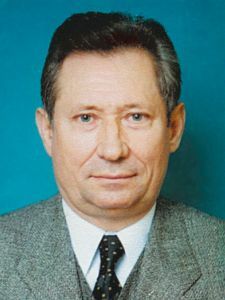 Author of FLARAXIN – IVAN KULIK was a Head of "HERBAL MEDICINE GROUP OF MALIGNANT TUMOURS" and a number of related research laboratories in the experiment proved that the New Anti-cancer medicine, herbal interferogen FLARAXIN has specificity for tumor processes, general pharmacological activity and safety. INSTITUTE OF PHARMACOLOGY AND TOXICOLOGY of NASU at the request of the MINISTRY OF HEALTH OF UKRAINE (MOZU) has developed TEMPORARY PHARMACEUTICAL ARTICLE (TPhA), and LABORATORY REGULATIONS FOR THE PRODUCTION OF FLARAXIN. KULIK I.A. started research work on FLARAXIN since 1979. On 8th July 1983, he filed an APPLICATION#3641428 in ROS-PATENT, and On 15th July 1994 performed registration in FEDERAL SERVICE FOR INTELLECTUAL PROPERTY (Rospatent) issued PATENT#2014082 for the INVENTION “ANTITUMOR AGENT-FLARAXIN”. After the collapse of the USSR, FLARAXIN was patented in Ukraine, under Patent #25833 dated 26th February 1999, the Bulletin number 1, as “The antitumor agent treatment of melanoblastoma”. Brief Biography: IVAN KULIK was a surgeon-oncologist in the small town of Ukraine, Poltava region, village Zinkov, then he worked as a doctor in the Murmansk Hospital in a emergency service, Russia. He dedicated his life to the study of the nature of cancer and the search for effective means to treat cancer diseases. He is not only derived a formula anticancer medicine, but was able to make it. Offered a last chance for terminally ill patients. By the early 90's product was almost ready, which has no analogues in the world by its anti-tumor effect. All TREATMENT PERIOD by FLARAXIN CONTINUES during 2-3 MONTHS. Patient can be treated out-patient or in a conventional clinic, hospital or even at home. Here are just a few testimonies of people who have undergone treatment FLARAXIN with successful results. On the meeting of PE "STATE EXPERT CENTER" of MOZU. On 12th November 1990 adopted a resolution (Protocol#8) on FIRST PHASE I OF CLINICAL TRIALS (Production procedure of FLARAXIN and Instruction on FLARAXIN and Clinical Trials on patients with malignant melanoma). Following the presentation of research centers of positive clinical trial results to the Ministry of Health of Ukraine at a meeting of PE "STATE EXPERT CENTER" of MOZU On 28 May, 1992, ALL RESULTS were APPROVED on the FIRST PHASE I OF CLINICAL TRIAL of the research and take a DECISION (Protocol#3) on SECOND PHASE II CLINICAL TRIALS that were also APPROVED for anti-melanoma medicine FLARAXIN. Simultaneously, SCIENTIFIC RESEARCH INSTITUTE OF ONCOLOGY AND RADIOLOGY of MOZU (NATIONAL CANCER INSTITUTE (NCI) Chief oncologist MOZU, the Director of the National Cancer Institute, Sc.D., Professor Igor B. SCHEPOTIN. On 18th November 1993, completed PRE-CLINICAL STUDY OF FLARAXIN as ANTICANCER MEDICINE for CERVICAL CANCER, BREAST CANCER and LUNG CANCER with good positive results. In January, 1995. CANCER CURING CENTER PHOENIX LLC were formed with aim to coordinate research work, and organize practical application of FLARAXIN in clinical oncology. On the basis of the submissions On 30th October 1997. PE "STATE EXPERT CENTER"of MOZU (Protocol#8) APPROVEs the SECOND PHASE II CLINICAL TRIALS for MELANOMA and takes DECISION to conduct EXTENSIVE CLINICAL TRIALS of the medicine FLARAXIN to DETERMINE the EFFICACY, IMPACT ON QUALITY OF LIFE and SAFETY of the PATIENTS with BREAST CANCER, CERVICAL CANCER and MELANOMA. On February 1998 in DANYLO ZABOLOTNY INSTITUTE OF MICROBIOLOGY AND VIROLOGY of NASU were done study Report on interferon-inducing activity FLARAXIN and findout that FLARAXIN has the property for a long period of time to maintain the production of own interferon (72 hours), and it is extremely promising for use in the treatment and prevention of precancerous and tumor processes, as well as viral infections, infections of the central nervous system, "slow" virus infections, which include AIDS, multiple sclerosis, etc. Address Inst: 03680, Kyiv, Akademika Zabolotnoho st.,154, tel: +38 (044) 526-11-79, (044) 526-23-79. In June 1999, in the LABORATORY OF EXPERIMENTAL AND CLINICAL IMMUNOLOGY of RESEARCH LABORATORY CENTER (RLC) (now LABORATORY OF IMMUNOLOGY AND MOLECULAR BIOLOGY of SCIENTIFIC RESEARCH INSTITUTE OF EXPERIMENTAL AND CLINICAL MEDICINE AT BOGOMOLETS NATIONAL MEDICAL UNIVERSITY (BNMU) were done Report on immune modulatory properties of FLARAXIN. Head of the LABORATORY OF IMMUNOLOGY of RLC of BNMU. Sc.D., professor - VLADIMIR G. BORDONOS, E-facts: Kyiv, Peremogy ave., 34, tel: +38 (044) 454-49-48. The study findout that FLARAXIN have a high positive effect on the different indexes of various functioning parts of the immune system in cancer patients. This suggests that the known systemic immune deficiency caused by neoplastic process is subjected to positive correction due to the action of FLARAXIN. The rehabilitation of functioning leading mechanisms of immune process by FLARAXIN is accompanied by improvements in overall clinical condition of the patients, resulting in a significant reduction or complete elimination of the metastatic process, the reduction and complete regression of tumor nodules. Currently CCC PHOENIX LLC are working with (Protocol#8) that were appointed by PE "STATE EXPERT CENTER". of MOZU On 30th October 1997, and APPROVED by the President of PE "STATE EXPERT CENTER"of MOZU On 20th April, 1998. RESOLUTION OF THE STATE PHARMACOLOGICAL CENTER ON PRODUCTION OF FLARAXIN, signed by Director of MOZU, MD, Prof. - Alexander V. Stefanov, Doctor of Biological Sciences (1988), Professor (1996), Academician of the Academy of Medical Sciences of Ukraine (2002), laureate of the State Prize of Ukraine (2003), Director of the Institute of Pharmacology and Toxicology of the Academy of Medical Sciences of Ukraine (1992-2007); headed the State Enterprise "State Pharmacological Center of the Ministry of Health of Ukraine" (2000-2005). He made a great contribution to the organization of the LP examination system and the creation of a regulatory framework for the process of their registration in Ukraine and its harmonization with the requirements of world practice. Tel: +38 (044) 446-42-56, (044) 241-88-83. Address of MOZU: 01601-Kyiv, Grushevskogo st.,7, tel. +38 (044) 253-61-94, fax +38 (044) 253-40-17. Doctors and employees of CCC PHOENIX LLC in collaboration with local scientists have developed a unique method of treatment of cancer patients, based on the use of mixed herbal extracts, which allows for an active influence on the cancer process at any stage of its development, in a variety of clinical forms. High efficacy of preparations of CCC PHOENIX LLC with combination of their non- toxicity allows to use them in cases where other methods are contraindicated.